Snibston’s fashion collection includes period clothing as well as pieces by celebrated fashion designers such as Vivienne Westwood, Paul Smith, Christian Dior and Biba. It also displays historical artefacts from Leicestershire’s textile past. A central ‘spine’ flanked by imposing structures and applied super-graphics creates an immediate impact and logical space planning; it provides sign-posting to help visitors navigate the non-sequential areas and doubles as an impressive catwalk for live events. 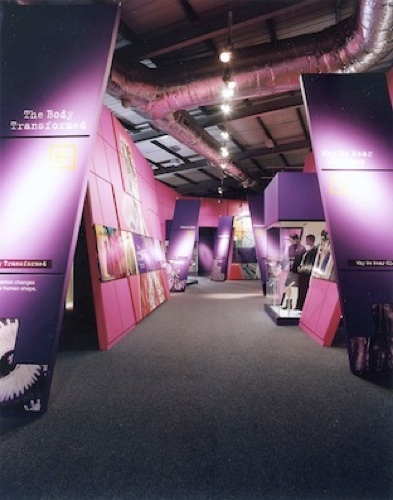 The gallery has an interactive centre, a resource centre - with computer access to costume collections around the country - and a flexible space for temporary exhibitions.